After a little hiatus from magic, I’m back, ready and raring to cube. 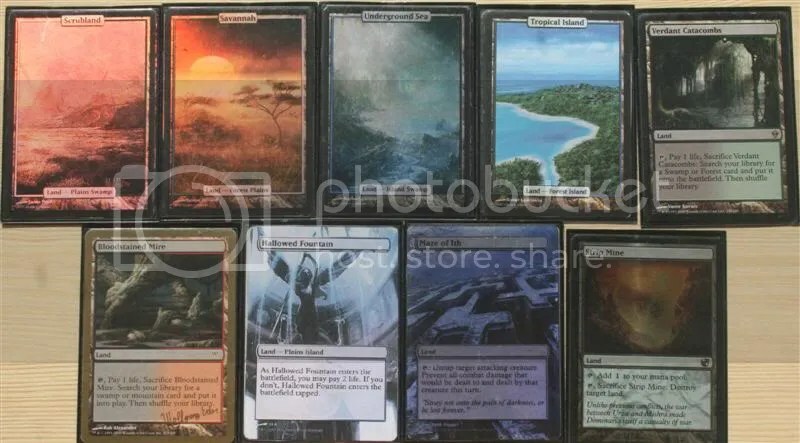 In my absence, several sets have been released, and a new tool over at cubetutor.com has appeared. 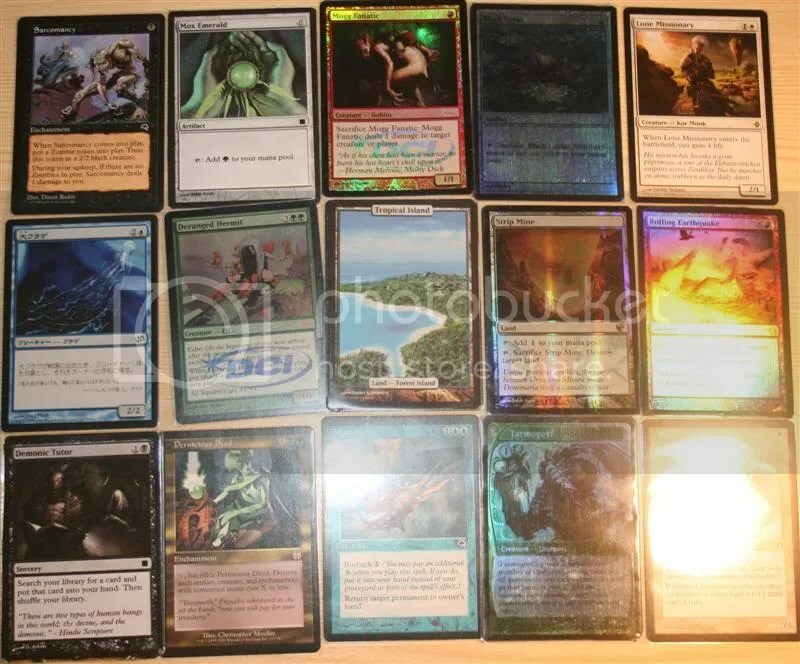 I’m hoping to produce some new content, including more You Make the Picks, and a new format of video following me as I try and draft on cubetutor. Hopefully I’ll be around for a while. Unfortunately, unless a card is particularly contentious or new, I won’t be running any more card evaluations – many cards have been discussed to death, and there’s no requirement for my opinion to be put on a pedestal here. Sorry for the delay, we had some technical difficulties with the polls, but we hope they’ll be up soon. From this pool, you have to make a 40 card deck. Have fun brainstorming, and post your decks in the comments below! Imagine this is your first pack! What would your first, second, and third picks be? 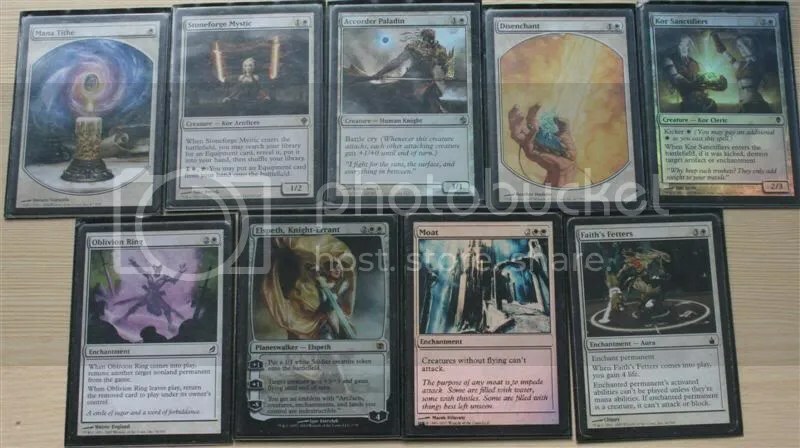 Initally, I was really excited by Shinshifter when M12 was being previewed. I got all excited, because you could beat for 4 on turn 3 off your two drop, and it was all quite exciting. Then I realised that the upkeep cost is pretty irritating in a green deck. Most of my GX decks really like to play a three drop on turn three, and a four drop on turn 4. 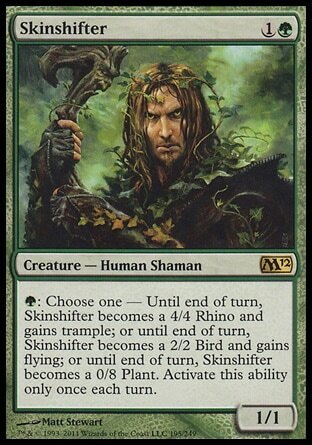 Unfortunately, in order to beat for maximum damage with skinshifter, you need to play your three drop turn 4, and your four drop turn 5, which isn’t as much fun. I had a good time last night at my friend Will’s house, where we got a cheeky star game going. We drafted individually, and we drafted 5×9. I ended up coming 2nd to last, but good fun was had by all. We sat (going counterclockwise): Tom (me) , Michael , Will, Finn, Ben. I made a lot of comments whilst drafting that since we were playing multiplayer, I might as well have taken the red section out of the cube. How wrong I was. P1P1 , I opened a surprisingly mediocre pack, with Sensei’s Divining Top being the obvious pick. Then I was passed a pack with a mox and mana drain, and I took Mana Drain, since I’ve never played it. Unfortunately, I took the decision at this point to play blue, instead of waiting, not committing, and that turned out to be a little bit of a mistake. I was a bit flagrant with some of my picks, taking blue, white, black and red cards. I was incredibly lucked to get a P2P2 LoA, where Ben had taken Student of Warfare over it. Don’t worry, I’m still confused over that. I took some UX duals early, and ended up in a UBw control build, in the hopes of taking advantage of the slow nature of a multiplayer format. Unfortunately, everyone else appeared to have the similar ideas., with only three decks amongst 5 people. The game progressed fairly slowly at first, with me keeping my 7, going last, drawing LoA, and maintaining my 7 for a while. Unfortunately, my deck lacked the ability to do anything, and except playing a few reanimation spells, getting Elspeth Tirel into play, and having my gideon quickly killed, I did little. We played for about 90 minutes, and at the end, after I had the turn of Mystical Tutor for Upheaval, Brainstorm. I then sat there, while everyone gave me evils. I didn’t play it, and lost when it reached my enemies. One great play was seeing all my creatures kill by my opponents mountains, with a koth emblem. As you can see, I got a fairly nice mana base, a couple walkers, some draw 7s, and upheaval. the main problem with my deck is the complete lack of removal and ways to win. I essentially played solitaire for the first 10 turns of the game, drawing cards and that’s about it. It was pretty fun to play,but I wish I’d had more gas. 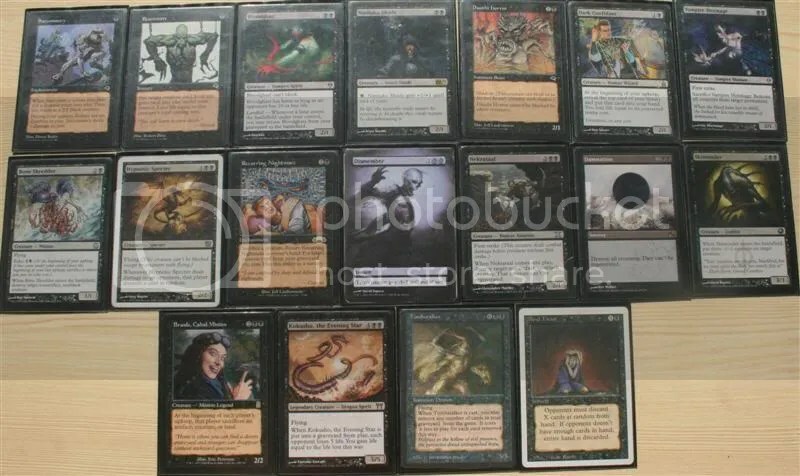 In my opinion, Ben didn’t have enough creatures with ETB abilities to abuse Recurring Nightmare, although I guess with tutors, it wouldn’t have been so hard to get recurring nightmare + any two of Keiga, Nekrataal and Mulldrifter. Still, I’d like some redundency in the targets, and to not have to rely on tutors for them. That being said, this isn’t recurring nightmare.dec, and he did have a lot of powerful plays. I think Ben or I could’ve easily won the draft if either of us had read the table better, and moved into a colour pair, instead of the trio. Ben could’ve happily moved into WB, I could’ve moved into UB, and we could’ve been happy. I’d really love to call Finn’s deck counterburn, due to the theme and colours, but the complete lack of counters means I can just call it improved burn ; yknow, because adding blue to any deck immediatly makes it better. Finn ultimately won , through sticking multiple walkers and since I had no creatures, burning all of michael’s stuff. It’s possibly my fault Finn won, due to my complete lack of threats, but, credit to him, he piloted his deck very well, and won fairly convincingly. 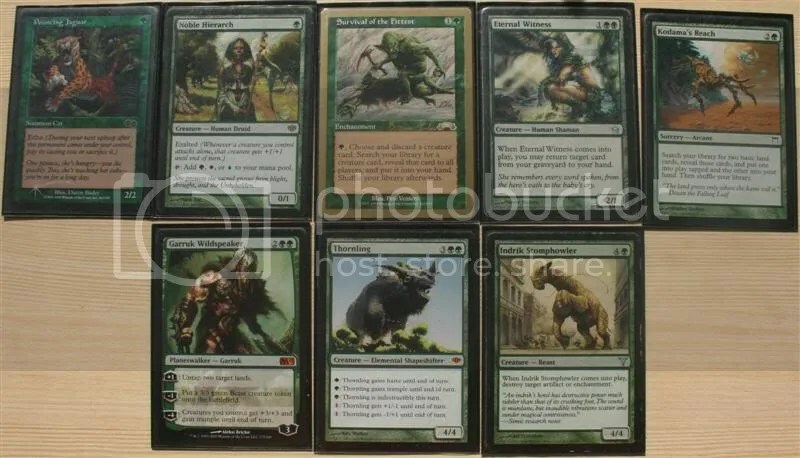 Once again, Will has the same deck as Michael, to the detriment of them both. Unfortunately, will didn’t draw his little beasts early, and so couldn’t lay down a beat down like michael did. 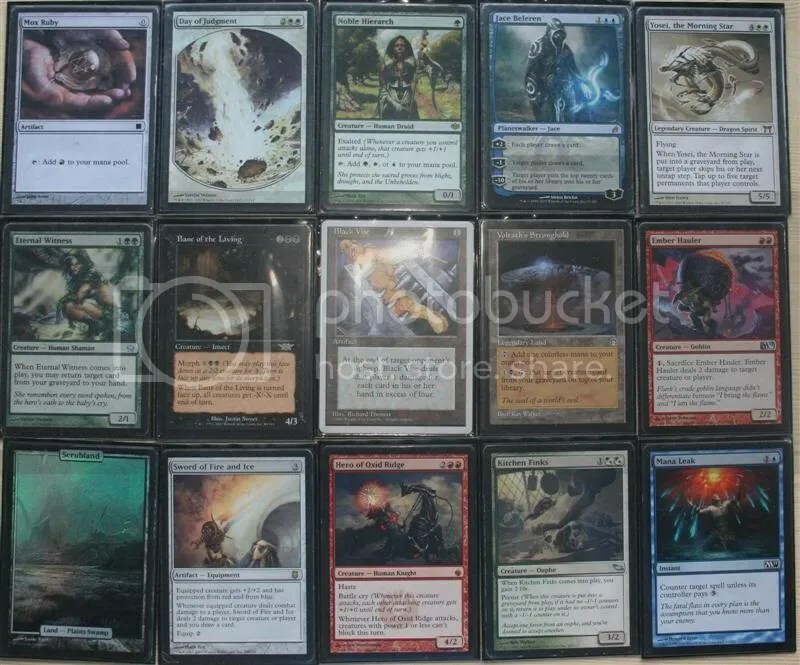 Something of note : he’s running loam with only one target, and phyrexian metamorph without any blue mana. Overall, Finn won, with his enemies, michael and I, going out in that order. However, it was a good oppotunity to see friends, and get to play with some new cards.